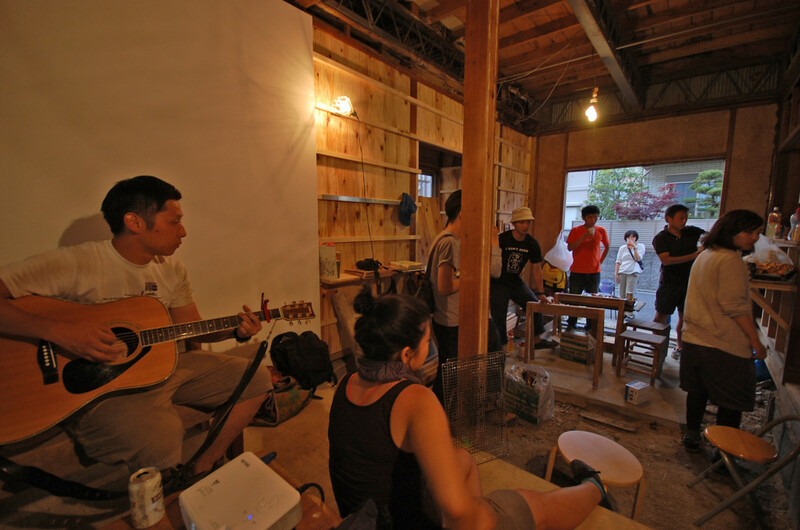 To open the space of Maedabunka to the public, we opened “Genba* Cafe” at the ongoing contruction site. 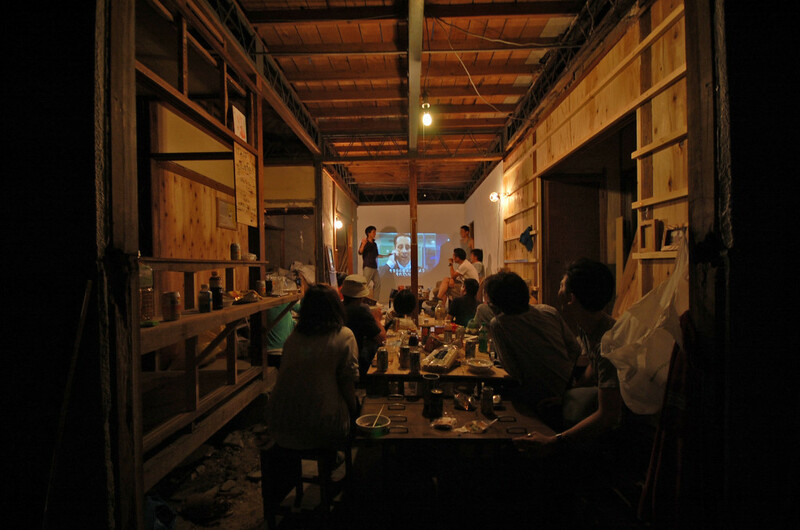 At Genba Cafe, you can have drink and food in exchange of a reward of helping the ongoing works or building furnitures at Maedabunka. 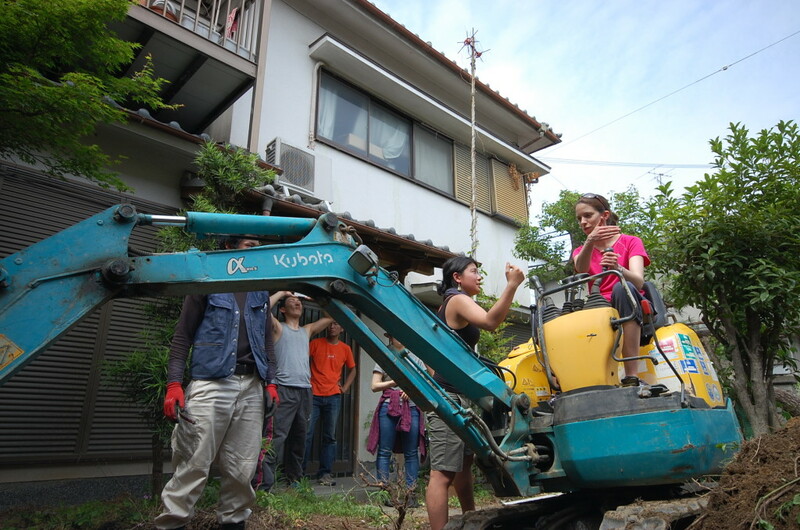 At the Garden of Maedabunka, we held a workshop of operating Yumbo* to dig out soil of the garden. This garden later turned into a Vegetable garden of Maedabunka. *Yumbo is a name of hydraulic shovel.